Leaders of Africa’s Lake Chad Basin countries affected by Boko Haram’s intensifying insurgency over the past two weeks are calling on the international community to act urgently against the region’s ongoing humanitarian “catastrophe”. Presidents Muhammadu Buhari (Nigeria), Mahamadou Issoufou (Niger), Idriss Deby Itno (Chad) and Paul Biya (Cameroon) are scheduled to participate in a special Summit on the crisis chaired by UN Secretary-General Ban Ki-moon on the sidelines of the UN General Assembly in New York today (23 Sep). 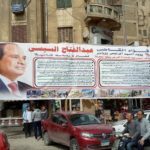 The seven-year Islamist rebellion has left 20,000 people dead and about 2.6 million displaced across the four countries. Many families have been displaced several times. In Nigeria, the crisis is particularly acute in Borno State, but the neighbouring states of Adamawa and Yobe are also affected. 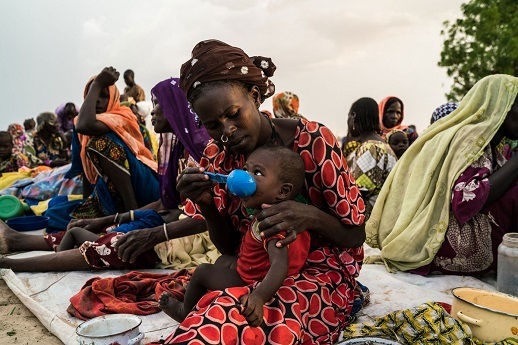 Recent Nigerian Army military operations, which led to the recovery of territories previously under Boko Haram’s control, have revealed the scale of the humanitarian needs of civilians in the three states. Maiduguri, the capital of Borno State and epicenter of the insurgency, has seen its population rise from 1 million inhabitants to 2.5 million because of internally displayed persons (IDPs) fleeing Boko Haram. Nigeria’s neighbouring Chad, Cameroon and Niger are also flooded with thousands of refugees from Nigeria. The number of displaced people in the most affected areas has tripled over the last two years. Rev. Samuel Dali, President of the Church of Brethren in Nigeria (Ekkliziyar’ Yan Uwa a Nijeriya, or EYN), told World Watch Monitor that despite the government’s persistent victory claims, Boko Haram continues to pose security threats. In many areas militants are still active, he said, forcing people to put their lives in danger each time they go to their farms. Last week, Boko Haram attacks near Chibok killed 12. 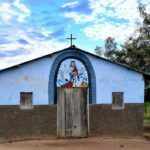 On 18 Sep., eight Christians were killed as militants opened fire outside a church in Kwamjilari, 19km from Chibok, where more than 200 schoolgirls were kidnapped overnight in April 2014. 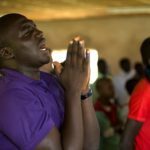 The assailants also burned down the church, blocked roads and began shooting randomly, prompting a movement of people who sought refuge in the bush and the nearby town of Chibok. In the early hours of Monday, 19 Sep., militants stormed Tari, an agrarian community in Damboa near Chibok. The assailants slit the throats of the village head and his son before setting fire to their houses. Two other villagers were shot dead as they were trying to escape. Rev. Dali also decried the corruption and mismanagement of relief materials by officials he said are hampering the aid efforts. 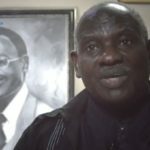 Dali’s claim echoed the accusations of Father Maurice Kweirang, in charge of St. Theresa Catholic Church’s IDP camp in Yola, in Nigeria’s north-eastern Adamawa State. International NGOS are not doing enough either, he claimed, since they are working under the state Emergency Management Agency (NEMA), which he called “ineffective”. 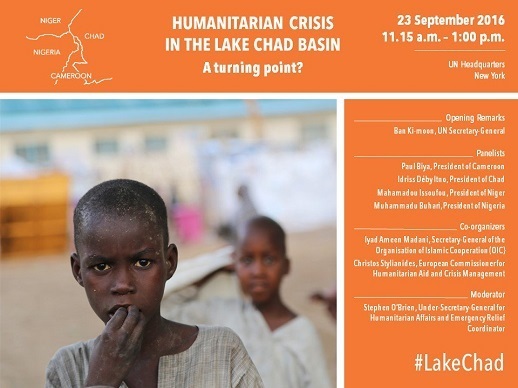 On 16 Sep., two top humanitarian officials raised the alarm for the Lake Chad Basin region at a conference in London’s Chatham House. 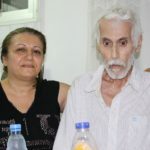 The situation has reached a “critical point”, noted Dr. Mercedes Tatay, International Medical Secretary of Médecins Sans Frontières. After visiting north-east Nigeria few weeks ago, she reported that in many areas where Boko Haram militants had been in control, MSF found people without water, food or sanitation. “We are in a catastrophe. There are huge mortality rates. In parts of north-east Nigeria, the under-5 mortality rate is quite low [only] because all the young children have already died. As the Assistant Secretary-General and Regional Humanitarian Coordinator for the Sahel, Toby Lanzer visited the South-Eastern Niger region of Diffa. He said the area now hosts some 157,000 internally displaced people. The international community must pay more attention to the Lake Chad Basin, he said, because the current crisis there could have lasting consequence for the region and elsewhere. Lanzer said the combined population of the region is estimated at 22 million (between Nigeria, Niger, Cameroon and Chad) and likely to double every 20 years. “This will have huge impact on the migration phenomenon,” he said. Niger lies on a major migrant route between sub-Saharan Africa and Europe. Some 120,000 migrants from 15 African countries crossed through Niger’s arid northern region last year, according to the International Organisation for Migration. The international community needs to drastically scale up its operations, Tatay said.